Summer in Annapolis can be sweltering hot, sticky, and down-right humid. On the flip-side, the town is vibrant with lots of tourists, ice cream treats, and tons of farmer’s markets. I’ve been really into peaches lately, and I’m so happy to find them at all the market stands. You can make a lot of cool yummy things with peaches; cobbler, pies, parfaits AND smoothies! My Peachy Green Smoothie has been my go-to breakfast. 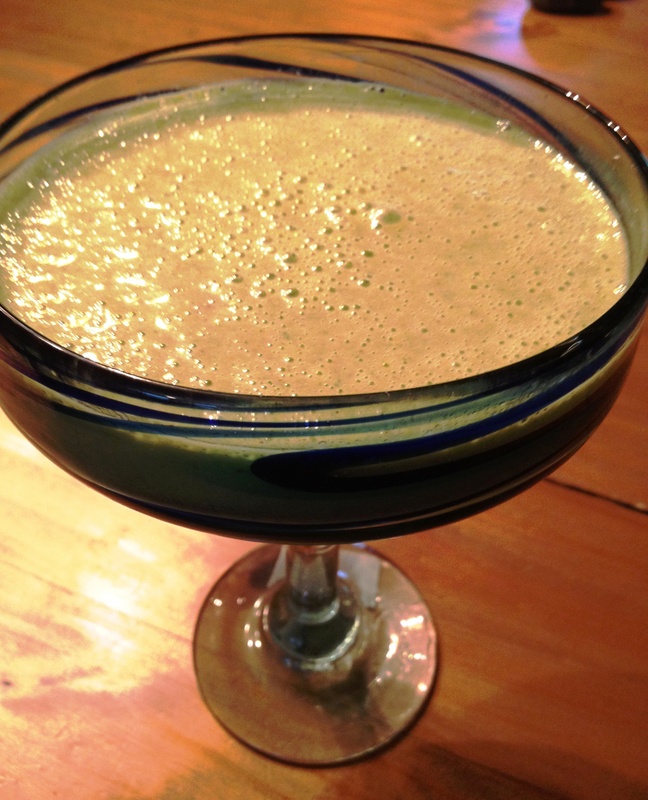 It keeps me cool, tastes delicious, and by adding the green stuff, is loaded with nutrients. Summer in Annapolis makes me so happy…I love spending these days in my town. Drink up and enjoy the end of summer! Lisa Consiglio Ryan is a Certified Health and Nutrition Coach for busy, active women and their families. She’s an Annapolitan of 20 years, loves to run and is an advid green juice drinker. Lisa’s areas of expertise include detox programs and special diets such as vegan, vegetarian, dairy-free, and gluten-free. Lisa is also developing her own line of raw juices. Contact Lisa at Whole Health Designs for more information on detox programs, juice cleanses and Kickin’ It Clean e-courses in clean living. Connect with Lisa on Facebook and Twitter. This entry was posted in Food, Recipes and tagged Detox, Health, Kale Recipes, Lisa Consiglio Ryan, Peach Recipes, Smoothie Recipes, Summer, Wellness, Whole Health Designs. Bookmark the permalink. adding this peachy green smoothie to the list of smoothies to try – thanks! Excellent! I tell you, I make it A LOT! Thinking about canning peaches so I can keep it up all winter. Enjoy!